Not quite their cheapest price ever, but Nationwide is once again offering the lowest flight price from Johannesburg to Durban. We surveyed flights leaving Joburg for Durban on the 26th October between 1729 & 2036 and a Nationwide flight is once again cheapest. We are amazed at the regularity with which Nationwide airlines offer the cheapest flight prices. This is the fourth time in a row that Nationwide airlines have offered the cheapest flight from Johannesburg to Durban. 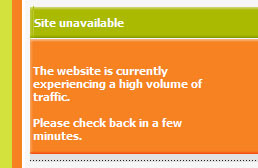 For the first time in the surveys we've been conducting the SAA (South African Airways) online booking system was not working - most frustrating. When an airline's online booking system is down it costs them - both in terms of lost bookings and loss of credibility (hopefully it wont take a Seabury report for SAA to realise this). We surveyed flight prices from London to Johannesburg, and they have come down for every airline. January is a cheaper time to fly from London to johannesburg than December (no surprise there). In the latest Alexa rankings of airline-related sites in South Africa, SouthAfrica.TO has broken into the top 900 sites in the country (ranked 871). It has a better ranking than 1time airline, Interlink or Nationwide airlines. Our readers have left a plethora of requests for new flight routes on our Mango airlines website. Top of the heap were requests for flights to Port Elizabeth, with a total of thirteen requests for this. Readers also want student specials and flights from Bloemfontein to Johannesburg to be reinstated. Due to some mix-up South African Airways had with its aeroplanes, one of the swanky SAA planes used for transcontinental flights flew a local flight from Johannesburg to Cape Town. Mary Hagerty got bumped up to first class (for $40 extra). John Hope Bryant tells the story. "Cape Town itself is gorgeous beyond words... like heaven on earth!" "...looks like the landscape outside of Melbourne in Australia"
"the place looks similiar to Tasmania! 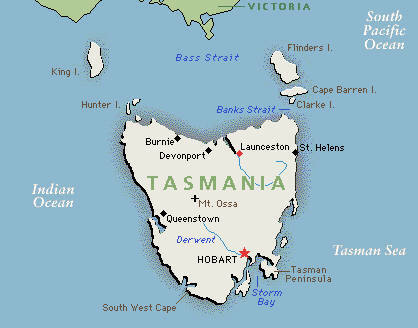 where the mountains are high and the waters are blue.."
So Capetonians who want to emigrate and not feel homesick - seems Tasmania may be the closest thing to home! I can relate to Ms Porcelain's tale - her Friday night British Airways flight from Durban to Cape Town was delayed from 1730 until 2030, and she vows to never fly British Airways again. I've been there and felt the same feelings. With a bit of travelling under my belt, I've come to realise that every airline has these type of delays, especially on Friday nights. However, South African Airways weathers the delays a bit better as it has so many flights. Sweet Violet, an mweb blogger, was unfortuanate enough to be on Mango flight JE387 to Cape Town, and ended up being on board for more than 12 hours - with no food or drink (and not allowed into the terminal to get any). Young children, babies, diabetics ended up not eating for 12 hours. Her huband, a diabetic, had his life placed at medical risk by not getting food for such a long period. On raising the topic with the Mango flight attendants she was ignored. In another travel horror story a businesman friend of ours was planning to fly from Cape Town to Durban on the morning red-eye, Durban to Johannesburg for an afternoon meeting and then Johannesburg to Port Elizabeth for the next day's meeting. The day started with a Mango flight from Cape Town to Durban which was delayed until the late afternoon - he missed all his meetings and ended up scrambling to get on a flight from Cape Town to Port Elizabeth for the next day's meetings. Last week we likened the deceptive advert which Mango emailed to a bar's owner advertising drinks for R87, but when you arrive at the bar you find out you have to buy two drinks and the second one costs R549. 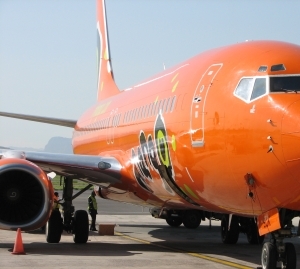 As has become the norm during a Mango advert, their website couldn't cope with the web traffic, and so web users went to other airline-related sites which could - like SouthAfrica.TO. 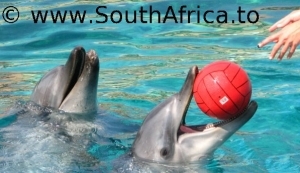 In fact Friday was a record number of visitors for SouthAfrica.TO (and unlike Mango our servers coped just fine). We had 3,857 absolute unique visitors at our website, on average looking at 2.07 of our webpages. Eighty five percent of the visitors were from South Africa (15% of whom are from Cape Town), 6% from the United Kingdom (49% of whom are from London) and 2% from the United States of America. We're sad to report that SouthAfrica.TO is not yet popular in Bermuda, Iraq or the Congo (only one visitor from each of those countries - thank you for your support!). In the process of this traffic spike SouthAfrica.TO's Alexa ranking shot up 29%, overtaking Nationwide airlines in terms of popularity (SouthAfrica.TO is already more popular than 1time airline and Interlink airline), and becoming one of the top 1000 websites in South Africa. We have now got a special webpage to cover airlines operating business class flights from London to New York, with a couple of airlines offering business class-only flights (e.g. Silverjet business class New York flights). There are no cheap flights from London to Paris. In fact the Eurostar train and National Express coach are looking relatively attractive. The OAG's (Official Airline Guide) latest released statistics show that the Barcelona-Madrid flight route is the world's busiest with 971 flights a week. By contrast, Africa's busiest flight route is our very own Cape Town - Johannesburg flight route with 831 flights a week, with the second busiest being between Durban and Johannesburg (six of the top ten busiest flight routes in Africa are in South Africa). 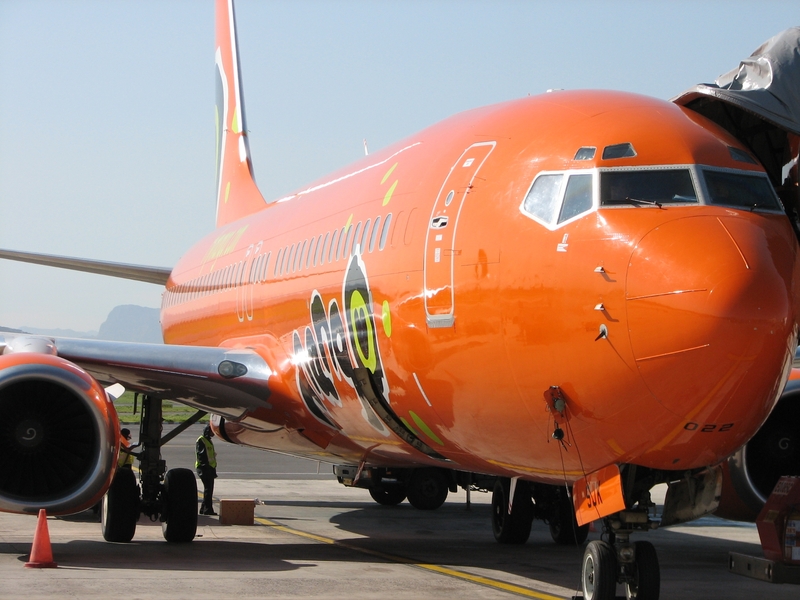 The Cape Town-Johannesburg flight route is busier than any flight route in North America. The busiest international route in Europe are flights between London Heathrow and Amsterdam. Low cost carriers account for 16% of all flights (compared to 14% of flights a year ago). The Cape Town-Johannesburg flight route is the 10th busiest low cost route in the world (with 266 low-cost flights a week). Seems British Airways are doing something of a restructuring of flight routes. Last week we mentioned that there are no more British Airways direct flights from London to Harare (they are now via Johannesburg). Now British Airways is also ending its flights from London to Detroit. Speaking of British Airways ending their flights from London to Harare, Air Zimbabwe have responded by adding in two flights a week on their Harare-London route (bringin their total to 5 flights a week). "Before I heard about Southwest I had seen two airlines in Ireland, Ryanair and Aer Lingus, both of which were blindingly incompetent. They had complicated check-in, business class this, travel agent that, all the rest of that crap, and were turning planes round in an hour. Then you went to Southwest, banging aircraft out after 15 minutes. They were phenomenal, passengers loved it." Michael O'Leary as quoted in his biography by Alan Ruddock, "A Life in Full Flight: The story of the man who made Ryanair take off".